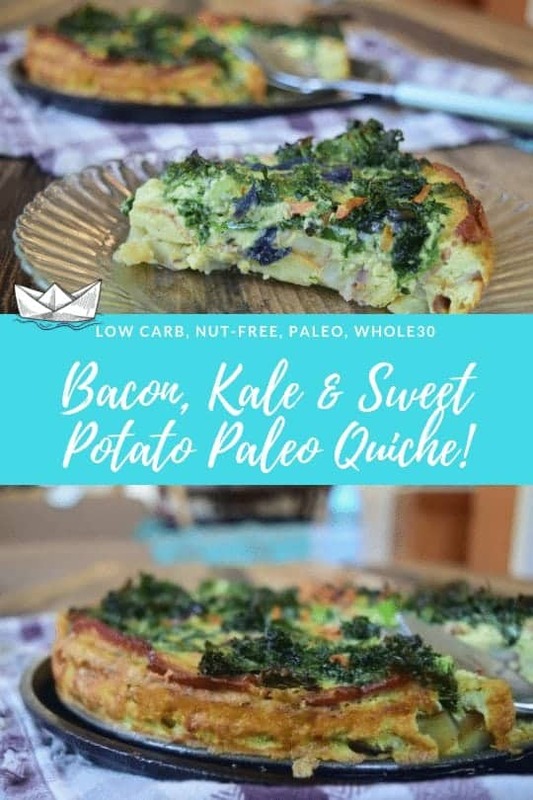 When I first got it in my head that I wanted to make a paleo quiche, I was thinking of using a flaky almond meal pizza crust recipe I recently made as the crust for the quiche… but then I thought why go make it all SWYPO when it could be just a delicious & decadent & filling while staying Whole 30 compliant. 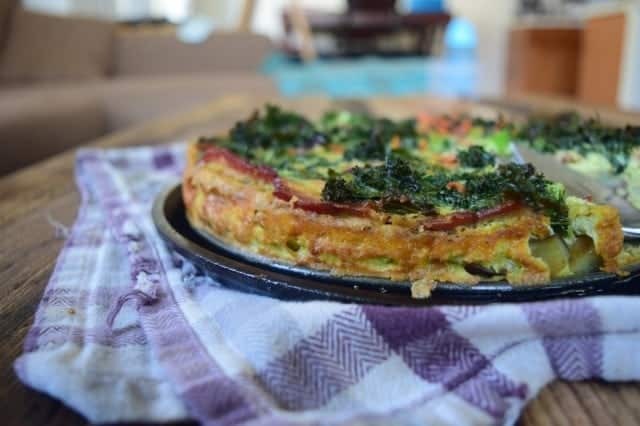 So I made a paleo quiche with a sweet potato crust! Mission accomplished. This beauty is absolutely delicious & satisfying. I made ahead, divided it into 8 slices & arranged those in tupper ware for a weekday grab and go breakfast…. but make no mistake, this quiche would also be a hit on your Sunday brunch spread. 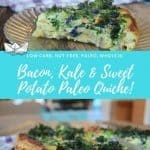 This paleo quiche with a sweet potato crust is packed with kale and boasts plenty of bacon too! I promise it will be a hit! Dice sweet potato in to 1/4 inch cubes. Wash, dry & chop kale too. In a large skillet cook bacon until golden, but not crispy, medium heat, 3-4 min each side. 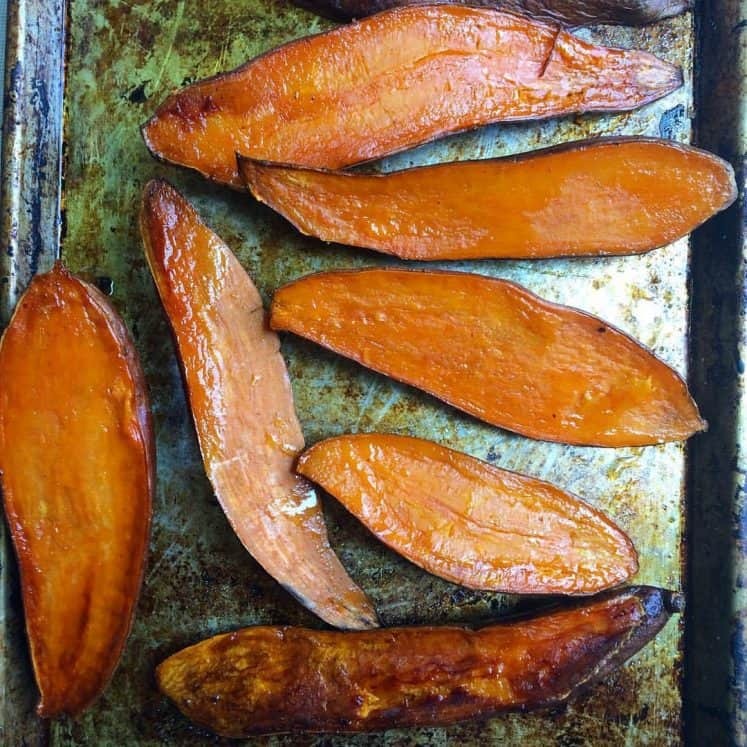 Remove bacon from skillet & add in diced sweet potato to the same skillet. Cover lid & stir sweet potato occasionally until fork tender. 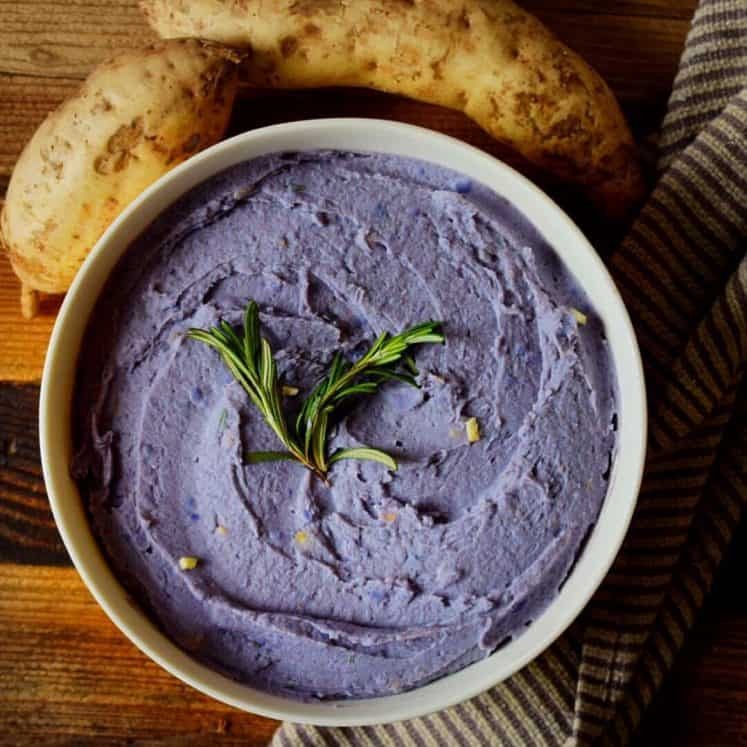 Remove sweet potato & set aside. To the same skillet, add in kale. Sprinkle with salt. Cover, cook for 5-8 minutes until wilted. 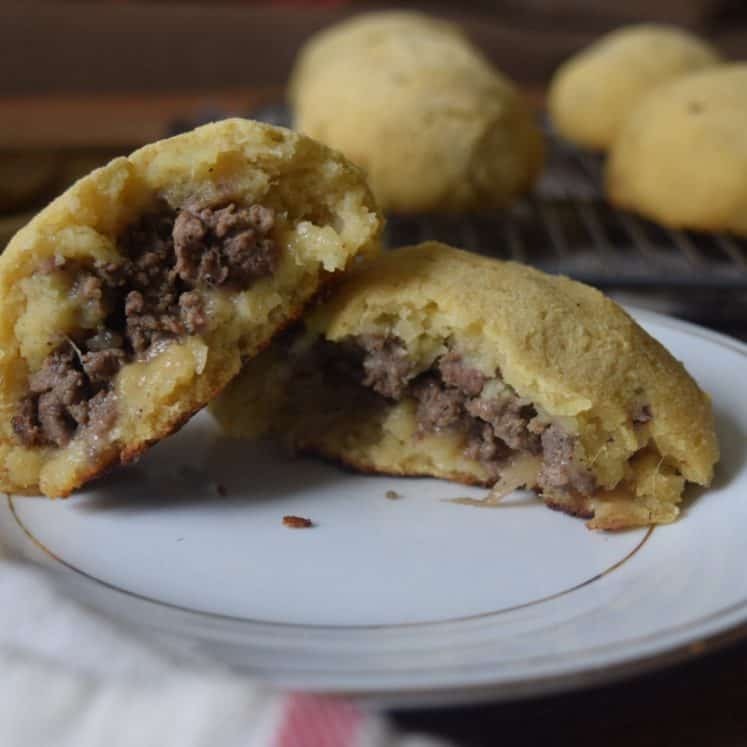 Remove from skillet & set aside to cool. Whisk together or blend in a blender on medium speed; the eggs, coconut milk & the rest of the seasoning. 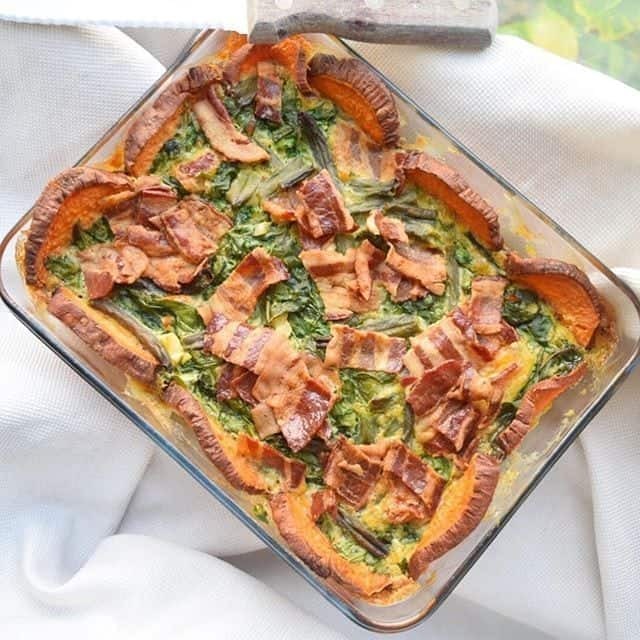 In spring form or casserole dish press sweet potato down on the bottom creating an even layer, then line the sides with bacon slices, start at the borders, baking a sort of crust. 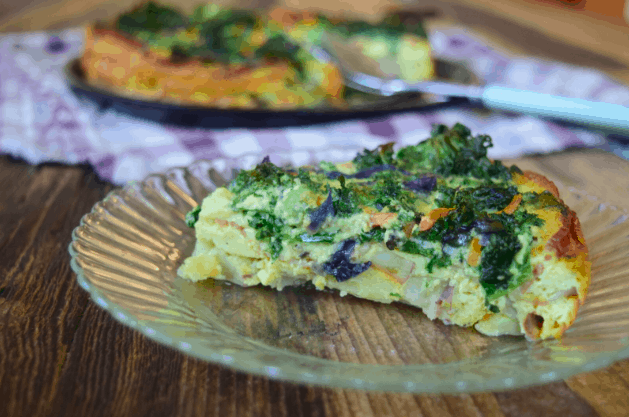 Pour egg mix in, and sprinkle kale all over. Bake at 350F for 35-40 min until center is set. Let cool a bit before slicing.